Kyle was diagnosed with osteosarcoma, a form of bone cancer, in December 2009 at the age of 13. His difficult treatment regimen included multiple surgeries and chemotherapy at the Dana-Farber/Children’s Hospital Cancer Center in Boston, approximately one and a half hours from his home. Prior to Kyle’s diagnosis, his single mom, Alice, worked as a teacher and had recently purchased her own home. Kyle’s frequent hospital admissions and lengthy clinic visits forced Alice to cut her working hours significantly. Her finances took a direct hit. As the primary source of financial and emotional support for her two children, Alice began to worry. 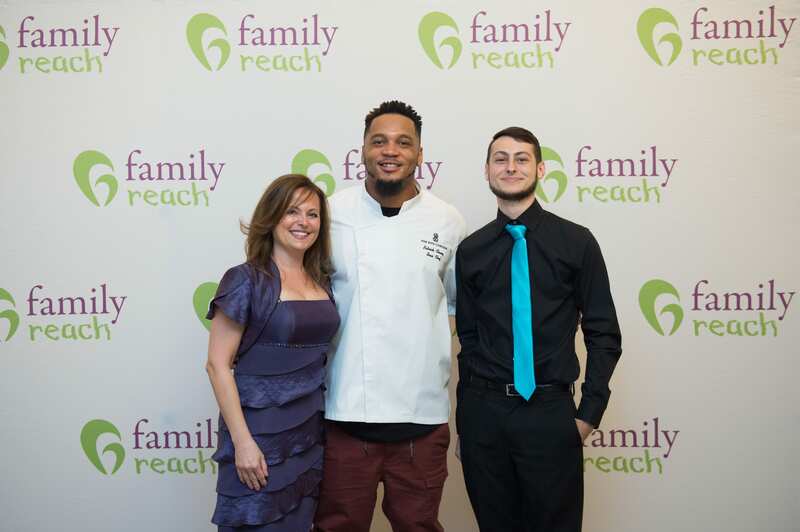 Alice and Kyle with Big Papi back at our 2015 Cooking Live! Family Reach was able to quickly provide a grant that covered Alice’s mortgage and car payments. This allowed her to pour her energy into caring for her children and be by Kyle’s bedside during treatment. She is deeply grateful for the profound impact this support had on her family. Alice’s insight is instrumental in ensuring we develop programs that assist other families who face similar journeys. We are honored to have her and Kyle within our close community and look forward to seeing what the future holds for this tightknit family! You can help families like Kyle’s remain in their home with as little as $15 a month. Become a Key Holder today.